Rally your family and friends on Thursday, June 19th to make our community a better place through Do More 24. Do More 24 is a 24 hour online day of giving powered by United Way NCA that helps to raise money for nonprofits serving our community. Join us on Thursday, June 19th at DoMore24.org/#npo/gaithersburg-help-inc! 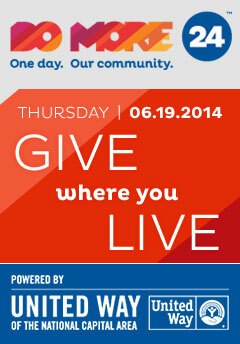 Mark your calendars and tell your friends – for 24 hours on June 19th, support Gaithersburg HELP and give where you live!